Are you planning to launch a limited period offer to grab your customers attention? But, wondering how to advertise these drooling offers to maximum customers is such a limited time? If you’re a business owner, you may immediately organise a meeting with your sales team, instruct them to start luring your potential and existing customers by following a rigorous calling plan. So, you can’t rely totally on your sales team to market your offers considering the time-sensitivity it entails. In order to expedite your marketing process, you need to opt for a solution which not only fuels your marketing plan but also guarantees you maximum ROI in limited time. 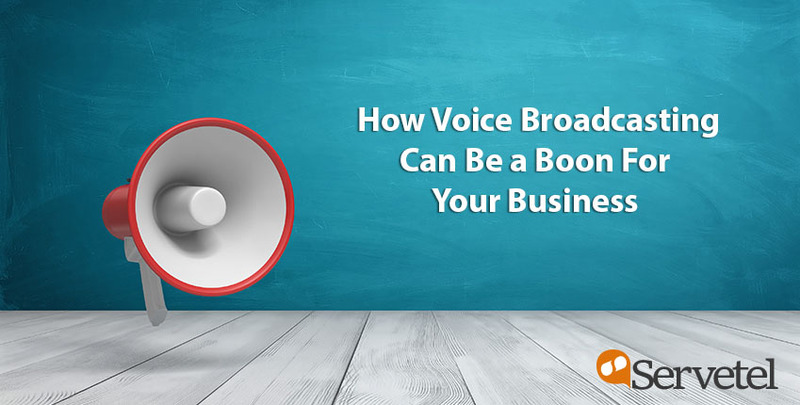 Here, voice broadcasting is one of the fastest ways to spread new offers or inform customers about any business update without much human involvement. This method of spreading information is valuable in the business when the same information needs to be sent to a large audience. Why Should You Go For Voice Broadcasting? Apart from spreading your business information at lightning speed, there are many more benefits to voice broadcasting which makes it one of the best go-to option for your business. With speed, scalability, and broad customer reach, voice broadcasting generates a large amount of customer leads with minimum time and money investment. Moreover, no separate infrastructure or team is required to handle your voice broadcasting campaign, which means, the only cost you bear is the voice broadcasting service bought from the service provider and the number of minutes you use. 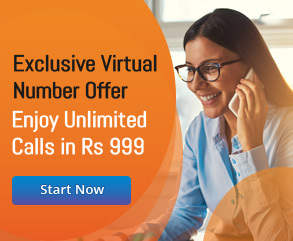 And at Servetel, your ROI increases by a large extent as you only pay for the calls which get answered by customers whereas other service providers may charge you for every broadcasted call irrespective of their answered status. From voice quality to the script you want to broadcast, everything is customised at your end. If your business needs to send an informational message, opt for a professional voice sample from the available options in your service portal and compliment it with the right script. If you want to grab customer’s attention in the first word itself, pick the first name of the customer from your contact database and address every customer with their name. Voice broadcasting service can be utilised in a number of ways depending upon the type of business and kind of message you want to spread. If you run a political party, you can opt for political voice broadcasting campaign to reach more voters and let them know what you stand for. If you provide health care or educational services, then use voice broadcast service to send timely reminders of different events. You can further connect your voice broadcast with your company’s IVR if needed. Every industry can engage with voice broadcasting service in different ways. Setting up and starting a voice broadcasting campaign is easy. All you need is few minutes to configure your portal setting, few seconds to upload your contact list, and few more seconds to upload your broadcasting message. Many service providers such as Servetel also gives you the flexibility to convert text-to-speech, i.e., type in your broadcasting message in the portal then select the voice type from the pre-stored options and finally convert your text into an auto-generated voice message. With these few steps, you are all set to get started with your campaign. To make a marketing campaign successful, a company constantly needs to analyse the highs and lows of the campaign. With portal admin login, analytics such as no. of active calls, answered calls, failed calls, missed call etc., can be easily tracked. With Servetel, businesses can also create and save customisable reports for future analysis. If you don’t have time to log in and check the reports every day, Servetel also gives you the flexibility to schedule these saved reports on your email ID, i.e., you receive automated emails with the saved reports at the scheduled time of the day. Planning to utilize the above benefits for your business? 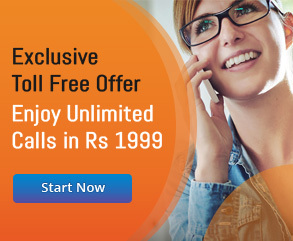 Contact us at 1800-11-3333, or 1800-103-6989 and talk to our experts.